The EU wants to develop a powerful EV manufacturing industry. 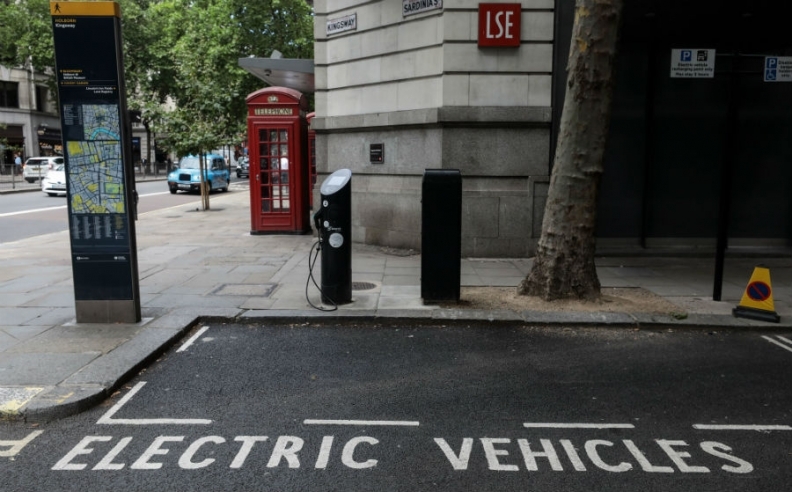 LONDON -- The UK government announced an extra 106 million pounds ($138 million) in funding to help boost the research and development of environmentally-friendly vehicles, batteries and low-carbon technology. Executives and politicians will gather in Birmingham on Tuesday for a zero-emission vehicle summit as the government hopes to make Britain a world-leading country in low-emissions technology. A series of investments totaling more than 500 million pounds are also being announced by a number of companies, including Aston Martin, which will create over 1,000 new jobs. "These measures will drive the design, use, uptake and infrastructure necessary for cleaner, greener vehicles and in doing so, it will help us drastically reduce a major contributor to our global warming emissions," Prime Minister Theresa May said in pre-released excerpts of comments she is set to make. May will also host a roundtable discussion at the conference with supply-chain companies from Germany, the United States, Japan, China, Spain and India to help boost demand as Britain tries to encourage inward investment as it leaves the European Union.